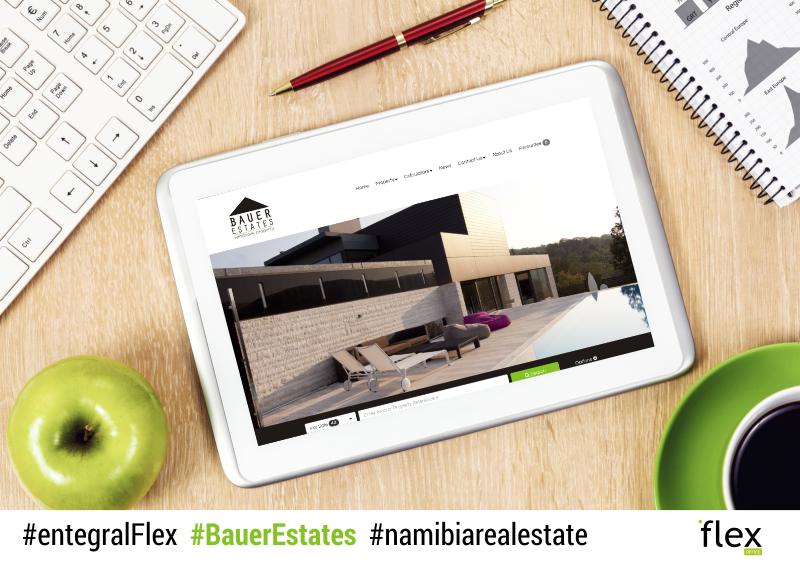 We recently launched the new Flex responsive site for long time clients Bauer Estates, who specialise in the selling and renting of elite real estate in Namibia. The agency, which boasts a large number of international clients, needed a website that would work on any internet enabled device, from anywhere in the world to ensure their stock would be showcased in the best way possible. This was made possible with the help of our Elegant themed Flex website template and cutting edge real estate website technology that would allow for quick, adaptive and reliable search functionality and a user-friendly experience. Not only are you getting a website that adapts to different screen sizes, you are also able to benefit from features such as integrated map searches, automated property alerts, automated newsletters, unlimited photos and cloud technology to just name a few. Read about why upgrading your agency’s website to be responsive makes good business sense. All new and old Namibian clients signing up to make use of our OMS and ordering a Flex Website will instantly receive 20% discount on the setup fee of any of our Flex Templates. Don't miss out on this offer ending 31 July 2016! Have a look at our sample portfolio and see which of our various templates will work best for your real estate business.